Hexpanse is an example of the game that on paper entices with strategic gameplay and slick components, but then falls apart on the table due to badly-tested balancing, leaving players longing for the game it could have been. Magic: The Gathering 25th Anniversary Special: In a massive 10-page celebration of the world’s biggest card game, designers, artists and fans tell us why Magic remains so enchanting a quarter-century on – including a look back on the game’s origins by creator Richard Garfield, an interview with head designer Mark Rosewater about his lifelong love of the game and Magic memories from famous fans, artists and pros. RuneQuest: As the fantasy icon returns this summer, creators Steve Perrin and Greg Stafford tell us how they changed roleplaying forever with their revolutionary RPG set in a world of gods and myths. 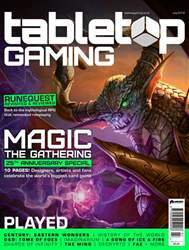 Plus, we give our thoughts on the latest edition, Roleplaying in Glorantha! Champions of the Galaxy: Tom Filsinger has been devising storylines, characters and mechanics for his ambitious dice-based wrestling game for over 30 years. He looks back on his time with the game, reveals its beginnings, and considers how his outlook and his process as a designer has changed over the years. Ogre: Legendary designer Steve Jackson revisits his influential 1977 wargame that put players in the seat of an unstoppable monster tank. CIA Games Declassified: We play the previously top-secret board and card games created by the US intelligence agency to train its agents, and reveal how you can try them for yourself at home. 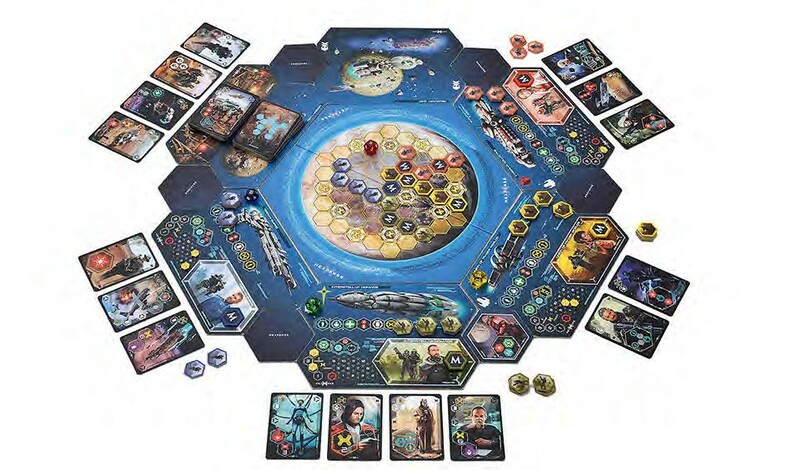 Capstone Games: Clay Ross discusses the rise in popularity of complex games and his work to resurrect some of the tabletop’s heavyweights. Reviewed: Century: Eastern Wonders A Song of Ice and Fire: Tabletop Miniatures Game Dungeons & Dragons: Mordenkainen's Tome of Foes The Mind Decrypto Kero History of the World Imaginarium Shards of Infinity Space Base Big Trouble in Little China: The Game Fantastiqa: Rival Realms Drop It Fae Plus much, much more!